In order to reduce the number of tasks you have to think of every day, you can set an automatic email dispatch. Your report will be sent on the day you want, with the frequency you choose, to whomever you want. So awesome! To schedule the auto send, open your dashboard and click on the share icon located in the top-right corner. You can then select the “share by email” option. The recipient(s) will receive your dashboard’s URL link. You can also include a summary of the report in the email and/or an attached PDF file of the entire report. Set a frequency at which the recipients will receive the report, and you’re done! You can always go back and change the settings if you want to. At any moment, you can decide to export your dashboard as a PDF file to save it on your device. 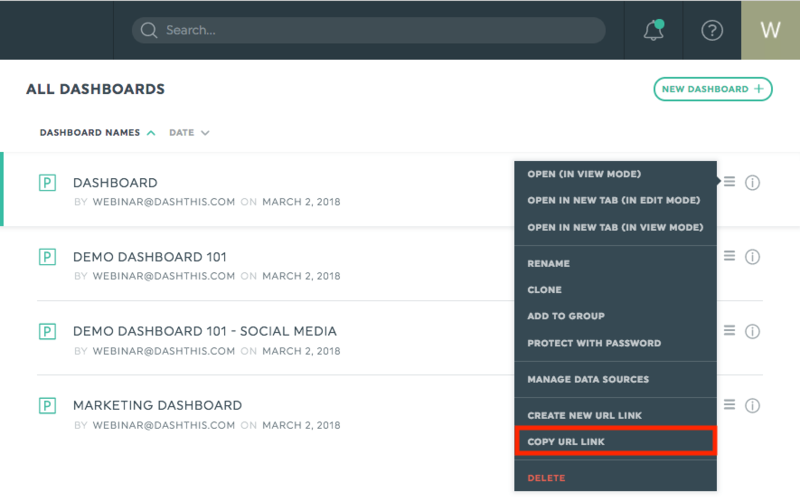 You can copy the URL link for a dashboard as well as for an entire group. In the dashboard manager, find the dashboard or the group of dashboards you want to share. Click the icon next to the dashboard or group name and choose the option Copy URL link. The dashboard or group URL link will be copied to your clipboard. You can then paste it and send it to the people you want to. The standard dashboard or group URL link has this structure: show.dashthis.com. 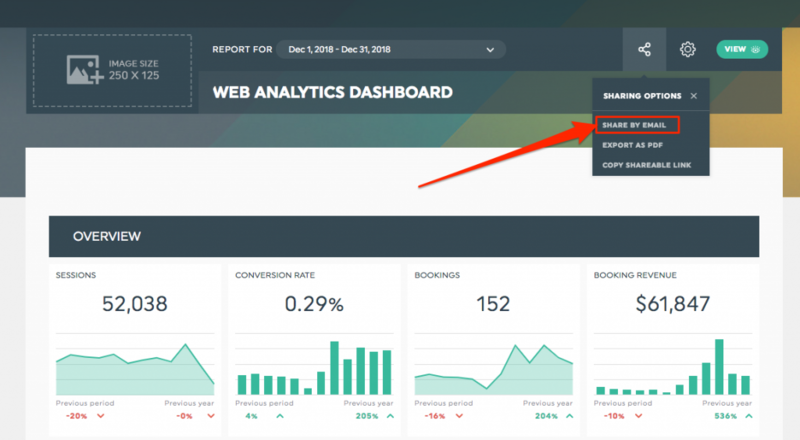 If you want, you can have your own URL, we offer a customized white label solution, so your dashboards URL can be branded to your company: reports.yourcompany.com. Our website contains all the info you need on our white label solution! Let the world see your awesome dashboard! Go back to your account!